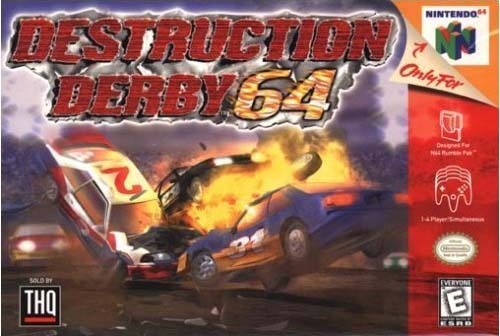 Destruction Derby 64 for Nintendo 64 is a demolition derby with high-speed, head-on racing. The game has you bash bumpers against your friends or the computer with your choice of 24 cars, including an ambulance and taxi cab. For 1-4 players.